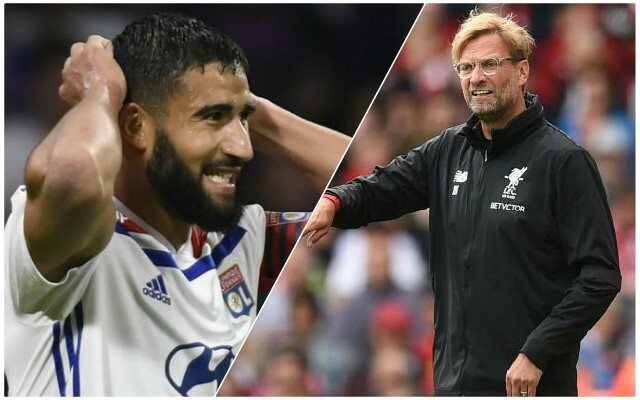 Melissa Reddy has outlined the two reasons that Michael Edwards and Jurgen Klopp decided against signing Nabil Fekir from Lyon in the summer. The Reds were on the verge of announcing the signing of the creative attacking midfielder, but then performed a U-turn, leaving the French international in his home country. Reddy, though, says there were two reasons why the deal collapsed, with the main reason being doubts over his long-term fitness. In her excellent piece for Joe.co.uk, Reddy wrote: “It wasn’t about the France international’s quality, his current fitness or the cost, but his durability over time. The second reason was that Xherdan Shaqiri was available for around a quarter of the price, and there was a lot of confidence that a move for him would be far more sensible. She added: “Also bubbling in the background was a move for Shaqiri, whose relegation release clause at Stoke – a barely believable £13m – was public knowledge. Liverpool’s recruitment has been nothing short of exceptional since Klopp arrived and while it was frustrating to miss out on Fekir at the time, it has not turned out too badly since then. With no other out-and-out number 10 coming in, though, even with Shaqiri signed, signing someone of the Fekir mould next summer seems likely.